Marketing technology business Yieldify, featured in the Startups 100 2014, has secured $11.5m Series A funding from SoftBank Capital and Google Ventures. 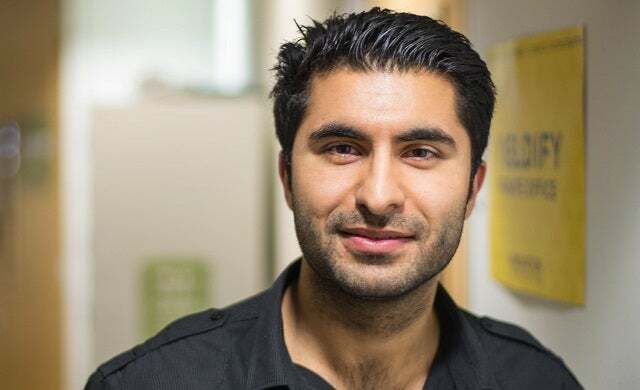 Founded by brothers Jay Radia (pictured) and Meelan Raida, the London-based company has developed predictive marketing technology to help e-commerce businesses increase conversion rates and reduce site abandonment. The technology learns visitor interests and incentivises their behaviour – re-engaging them during the “optimal time period”. The marketing business claims to have grown its revenues by 480% over the last year and currently works with more than 800 brands including Marks & Spencer, Ben Sherman and L’Occitane. The Series B round, significantly larger than its previous $1.2m from Hoxton Ventures and Robert Klein, will be used to fuel expansion into new markets including New York, as well as to hire new staff – specifically data scientists and engineers. “Traditional customer abandonment solutions still haven’t cracked the code to retaining and converting online visitors on the web and mobile.